Team Building is essential for any and every business. #1. It helps to improve communication. Communication is, hands down, one of the most important aspects of a team that functions well and gets things done, but there are lots of bumps in the road that make communication difficult in many cases. Maybe your employees don’t feel comfortable addressing problems with one another because they don’t want to step on anyone’s toes, or maybe your employees aren’t clear enough when they communicate, and it leads to confusion and hurt feelings. Whatever the reason for miscommunication, it can make work difficult, but one great way to improve communication is with team-building exercises. #2. It leads to more creative, out-of-the-box ideas. When your employees aren’t all that comfortable around each other, it can squash creativity and hinder great, new ideas that could benefit your business. But, when your team has literally flown through the air with one another, or they’ve guided each other through an aerial obstacle course, it’s almost impossible not to feel more comfortable and at home with one another. The more comfortable your employees are around each other, the more they’ll be willing to speak up and put out new, creative ideas for your business. #3. It fosters a competitive spirit in your employees. Sometimes, team building activities center on accomplishing a specific goal as a team, but other times, they are just about getting to know one another on a different level, which can occasionally mean competing against one another. But, whether you’re working together or not, team building activities ignite competition in many individuals. Healthy competition is not about putting others down or fighting tooth and nail to get ahead; it’s about pushing yourself to be the best you can be, and when you bring that spirit of competition back with you to the office, it will help to improve performance. #4. It highlights leadership skills. Effective leadership is the backbone of any successful business, but identifying who those leaders are can be tough. Many businesses make the mistake of promoting people for the sole reason that they do a good job in the position they are in, but that rarely translates into effective leadership. However, a team building activity is actually the perfect opportunity to identify the individuals who have the leadership skills you need. They will be the ones who will be willing to step up and take the reins when others may hold back or shy away. When your team doesn’t trust each other, it makes everything a lot harder than it has to be. But, that trust doesn’t come from nowhere, and if your team is relatively new, you often can’t afford to take the time to let that trust build on its on. With team building, you can help to create more trust right away, which will lead to a more cohesive team. #6. It helps your team to bond. For the success of your business, it’s very important that your employees feel satisfied in their positions. And, while every job has its ups and downs, what makes those downs bearable are the people you are in the trenches with. If your team isn’t all that close, it can make the rough spots even more difficult, which can hurt job satisfaction. But, with team building, you can help to build a strong bond within your team that will help them better weather the ups and downs of the job. 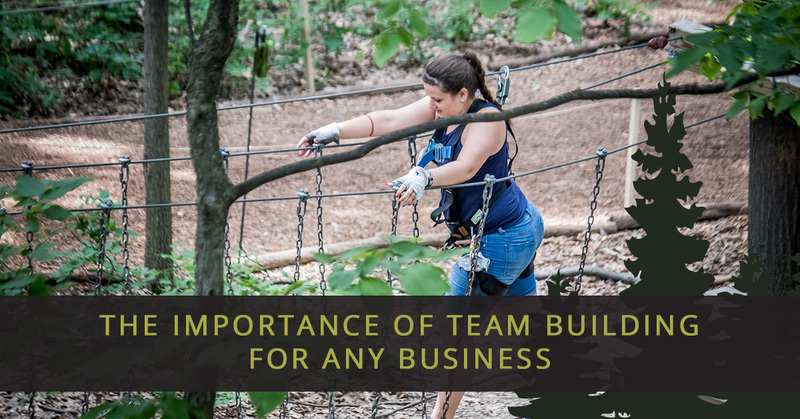 These are just a few of the many reasons as to why team building is so important for any and every business. 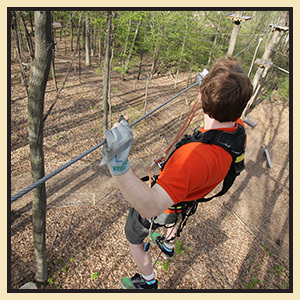 If you’re hoping to enjoy the many benefits of team building, book an aerial outdoor activity with TreeRunner West Bloomfield today!